Qin Hui tells the 2nd Jin Prince that they are treating the captives so badly that Jin will be hated by history. 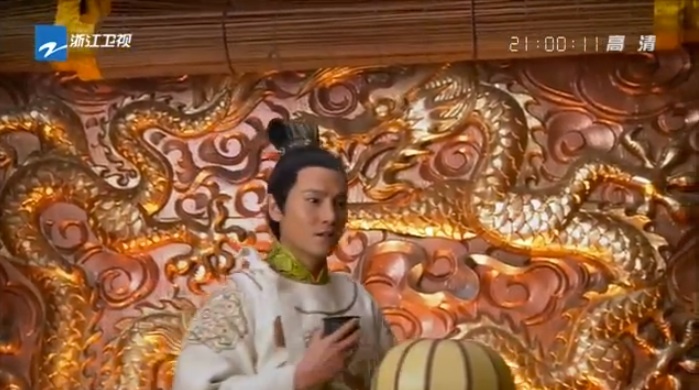 2nd Jin Prince treats Qin Hui to a tasty dinner, and it takes all of Qin Hui’s self-restraint to reject the food. He says that he cannot eat if his emperor is currently starving. Respect. Qin Hui goes on to tell the 2nd Jin Prince how Jin has messed up their plans. He still advocates for a peace treaty between Jin and Song. What?! Well, at least these two seem like they’re on the same page. 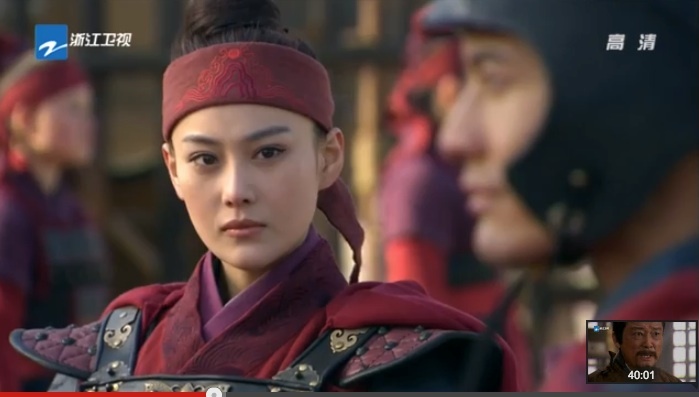 Qin Hui asks for permission to try to persuade the Jin leader. General Zong hands Yue Fei a list of wanted fugitives. Among them is a young boy called Liang Zai Ping, who happens to be Liang Hong Yu’s brother. They’re a little worried about how General Han will react. Aw Liang Hong Yu is in her general gear already?! Sigh, Show just gets better when my favorite couple are onscreen. 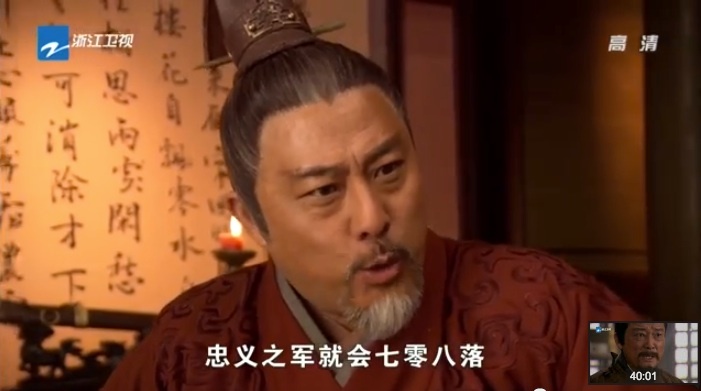 General Han explains that Liang Zai Ping is not a runaway soldier, and refuses to give up the soldier. He orders his soldiers into formation and tells Yue Fei that if he can fight through it, Yue Fei can take Liang Zai Ping. The soldiers run circles around Yue Fei, while he flashbacks to his teacher’s words of guidance. Well, isn’t that convenient. OH MAN, all these soldiers are girls. I didn’t even notice until I heard girly Hey-ya’s. I’m gonna guess that Yue Fei beats this formation of girls and gets to take Liang Zai Ping. 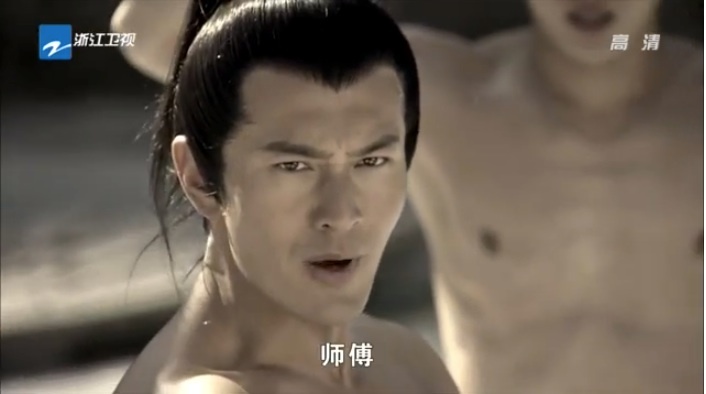 But he also wins over Han Shi Zhong. And they commence a lovely bromance. Yue Fei wins. 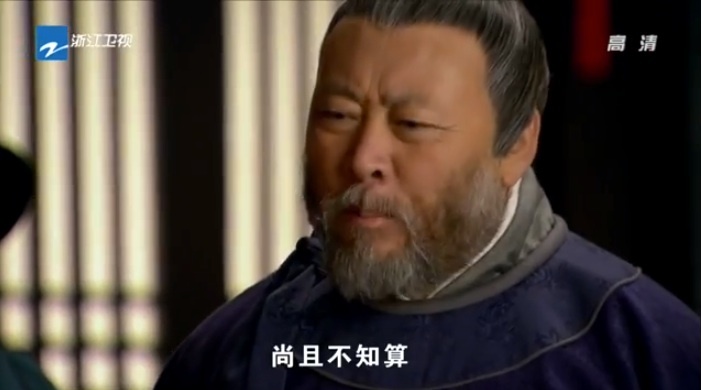 Han Shi Zhong does a hero walk over to Yue Fei, and asks to talk to him in the tent. Aw, Liang Hong Yu is the first to give. She tells General Han that she’ll give up her little brother. You go girlie, this is why I love you. General Han is ever the loving husband, and he worries because Liang Zai Ping is the last son in Hong Yu’s family (so if he dies, the family name dies). The poor kid is brought in (what a looker!). They part over some good wine. Even though Yue Fei says he doesn’t need to be handcuffed, Liang Hong Yu personally handcuffs her little brother. I love this woman. Yue Fei returns to witness General Zong arguing with Prime Minister Li over whether to keep soldiers to guard the government or attack Jin. The two old guys argue bitterly. Haha aw they’re both really loyal and have Song’s best interests at heart. General Zong’s health falters. Bro Squad has a pow wow to discuss how to move the Emperor into action. 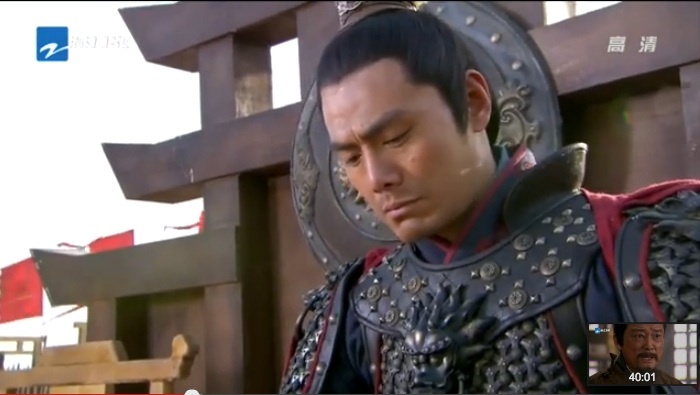 Yue Fei decides to send a letter to Zhao Gou to advise him to send out troops to fight Jin. Oh Yue Fei, I really hope you got someone to read over that letter to check for tone. Prime Minister Wang reads the letter out loud, and I cringe at Yue Fei’s tone. Why can’t you be a little more mindful of politics. *Squeal* Han Shi Zhong is my favorite. Heeeheeeeheeee all time favorite. And Liang Hong Yu. Show has hope after all. On the flip side, I’m worried for General Zong. If he doesn’t die from his sickness, he might get executed by the Emperor, or worse he’ll die from the indignity of being punished by the Emperor. 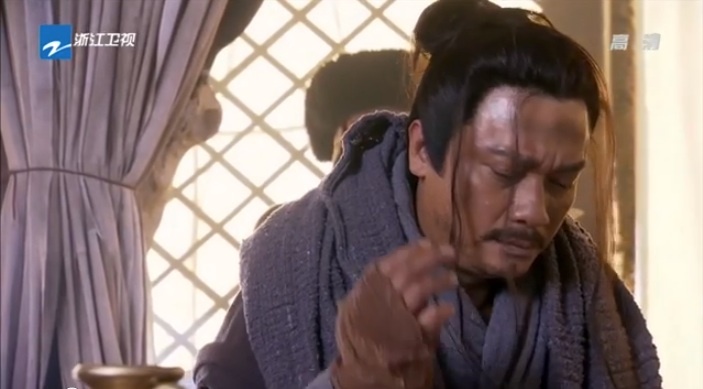 This entry was posted in Chinese Dramas, Culture, Drama Recaps/Reviews and tagged 精忠岳飞, Episode 17, Huang Xiao Ming, Jing Zhong Yue Fei, Patriot Yue Fei, Recap. Bookmark the permalink.